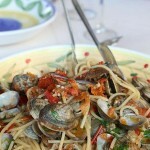 Celebrity chef, food writer and TV presenter Dominique Rizzo has launched a new range of Pure Food and Wine Cooking Tours, touring Sicily and the Aeolian Islands. Dominique Rizzo holds a long-standing love affair with food moulded by her Sicilian heritage from an early age and today she is a food expertdriven by her passion for creating quality food experiences through her own range of cooking tours. The Pure Food and Wine Cooking Tours are a range of bespoke culinary tours offering a real local experience deep in history and local traditions in food, art and local families. Groups are capped at sixteen guests and are designed to give each traveller a personal and relaxing food and wine experience which showcases the best cuisine and culture of each region. gourmet traditional lunches and dinner banquets included in the price. “It’s important that guests are aware that previous cooking and travel experience is not necessary; these tours cater for all, from novice traveller and those passionate about food and travel to those looking for an expert and intimate guide to the region,” Ms Rizzo said. Using local guides, hotels and restaurants is also important to Ms Rizzo. 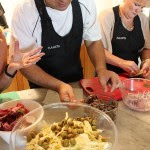 “I believe that it is the people that make the country and the experiences that make your trip soul satisfyingly unforgettable and by using local businesses at every opportunity we are ensuring that the Pure Food and Wine Cooking Tours deliver a truly authentic experience,” Ms Rizzo said. 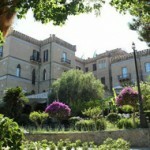 This month, Dominique is offering an arrival package to all bookings made before August 30, 2013 when booking The Shalai: Easter Sicily and Aeolian Islands tour. Details are listed below. Receive a free night’s accommodation, breakfast and dinner when you book a Pure Food and Wine Cooking tour before August 30, 2013. Enjoy pure Sicilian food, wine and cooking while exploring Eastern Sicily and the Aeolian Islands through 16 days and 15 nights Pure Food and Wine Cooking Tours. Personally escorted by chef and food writer TV presenter Dominique Rizzo, travellers will experience the beauty of the land, its traditions, people and hospitality while enjoying traditional foods cooked by skilled masters. Guests will marvel at the wealth of monuments, churches, cathedrals and archaeological sites, which will give travellers a glimpse of the infinite magnitude of this intoxicating part of Sicily. *Prices are based on a twin share/ double booking. If you are booking a single room a Single Supplement ($800) is required to be paid on top of the tour price indicated above.